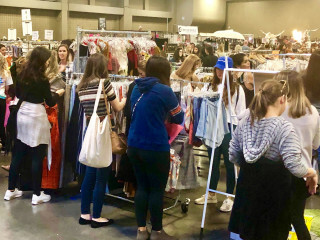 Le Garage Sale is a two-day shopping event that brings together Austin's coolest locally owned boutiques, online retailers and designers all under one roof — and all at clearance sale prices! Vendors bring it all out at Le Garage Sale, including end-of-the-year overstock as well as current season fashions. For a complete list of vendors and a sneak preview of what you can peruse, check the Le Garage Sale website.